With the cost of living higher than what most wages pages, ALICE families - an acronym for Asset Limited, Income Constrained, Employed - work hard and earn above the Federal Poverty Level, but not enough to afford a basic household budget of housing, child care, food, transportation, and health care. 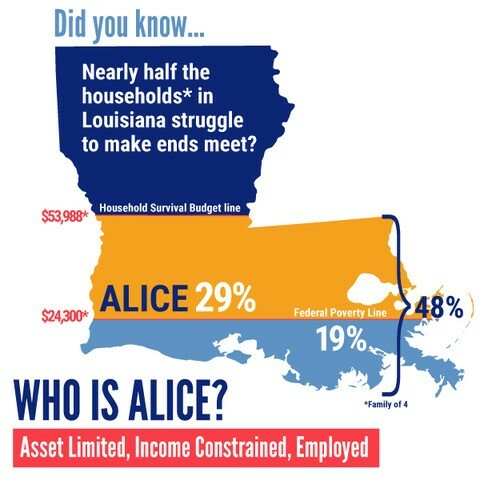 ALICE households live in every parish in Louisiana - urban, suburban and rural. They include women and men, young and old, of all races and ethnicities. 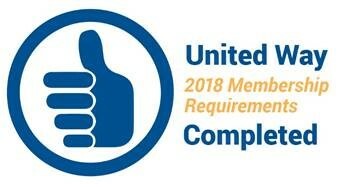 See complete ALICE report below. The updated report displayed below may not be accessible via mobile devices. Click here to access the report.